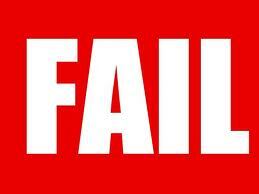 Super Bowl XLVI: Social Media FAIL!! The Super Bowl commercials integration of social media=FAIL. This weekend, I, like most, watched the New York Giants defeat the New England Patriots to become the Super Bowl XLVI Champions. But unlike most, who were likely concerned with the outcome of the game, I was watching to see how the advertisers, who had forked over a pretty penny, integrated social media in their ads. With ads going for up to $3 million dollars for a 30 second spot, I figured that advertisers would go the extra mile to make sure that their ads got all the traction they could. At a minimum, I figured most (if not all) the advertisers would add websites, Facebook URLs or Twitter handles into their ads. But I fully expected that at least one or two advertisers would realize the tremendous potential in social media, and do something more exciting. To me, that meant leveraging social media, and integrating text messaging, QR codes, SnapTags, etc., in interesting and innovative ways. So it was with rapt attention, that I waited for each time out, 2 minute warning, quarter and tv time out. I sat through over 75 different commercials (excluding pre-show, post-show and half-time), and I was saddened…saddened by what I saw. Not only were the commercials…ho hum, but they completely missed their mark from a social media perspective. The most “innovative” use of social media (and I use innovative so loosely as to have absolutely no meaning in this context) was by the NFL itself. Their NFL Fantasy promotion gave viewers the chance to win a million dollars. Viewers could either text NFL to 69635 or visit the NLF Fantasy website to register for the contest. Beyond that, advertisers brought nothing exciting (from a social media perspective) at all. There were a collection of advertisers that used hashtags. Hashtags are the # symbol, used to mark keywords or topics in a tweet. It was created by Twitter users as a way to categorize messages and used widely to track a particular topic in Twitter. Audi’s #solongvampires played on the brightness of the Audi’s headlights. Bud Light’s #makeitplatinum highlighted the new platinum Budweiser beer. Best Buy’s #betterway hashtag alluded to the depth of their mobile phone offering. H&M used #beckhamfromh.m in it’s ad with David Bekham, sporting their new trunks. Some of the more “progressive” (again, I use the term loosely) advertisers, added their Facebook pages to their ads. GoDaddy was the one advertiser who used a QR Code in their commercial. But for a 30 second ad, I didn’t think it was the best execution. When the commercial came on, and I saw the QR Code, I immediately tried to open my iPhone, launch the QR code scanner, move to the tv and scan the image. But by the time I had completed all those steps, the code was gone and they were on to the next commercial. One interesting thing I noted, was that a few advertisers with music in their commercials, had the Shazam logo in the corner. 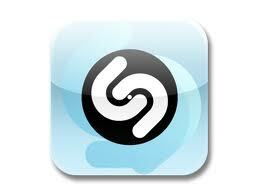 Shazam is the app that helps you find out the title of a song you’re listening to. By letting the Shazam app ‘listen’ to several seconds of a song, it searches it’s database and (if the song exists in it’s database) tells you the title and artist. Ads from both Cars.com and Toyota had the Shazam logo. My previous experiences with Shazam have been so underwhelming, that I no longer have the app on my iPhone. So I didn’t determine whether the Shazam integration worked for either of these brands. And since it would have (presumably) led the viewer to the underlying song in the commercials, I’m not sure what value the advertisers would have derived from it’s integration. Anyway, nothing from my wish list came to be. I guess we’ll have to wait another year before we see whether advertisers ‘get it’ and utilize their 30 seconds a little more effectively. If you want to see all the commercials that aired yesterday, AdAge has a great compilation of them here. But don’t blame me if you’re bored.